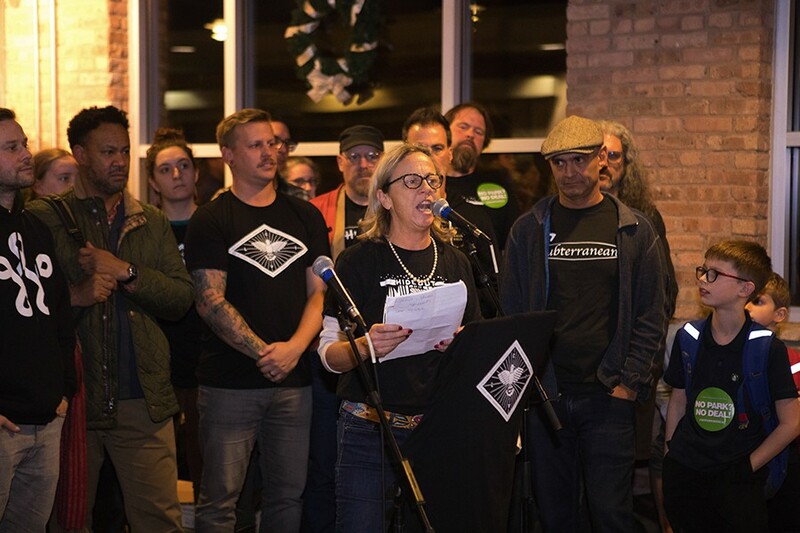 On Thursday, November 29, a group of music venue owners who'd just organized themselves as the Chicago Independent Venue League (CIVL) held a press conference to announce their opposition to Mayor Rahm Emanuel's fast-tracking of Lincoln Yards, a hugely ambitious mixed-use development along the North Branch of the Chicago River. The members of CIVL say the project won't just make the city's homegrown music economy less competitive—it also has the potential to sink it completely. That's because at the heart of Lincoln Yards—estimated to cost nearly $6 billion and cover at least 54 acres—is a partnership between Chicago developer Sterling Bay and Beverly Hills-based concert promoter Live Nation. The world's largest company of its kind, Live Nation has long been criticized for upending local music scenes by acquiring and consolidating major venues until it has a commanding share of the market. "We're not against competition, but it's completely different when you think of Live Nation," says Hideout co-owner Katie Tuten, cochair of CIVL—whose founding venues also include Metro, Smart Bar, the Gman Tavern, Thalia Hall, the Empty Bottle, the Promontory, Subterranean, the Beat Kitchen, Schubas, Lincoln Hall, Sleeping Village, the Whistler, and Martyrs'. "They own the venues, they operate the ticketing platform, and they manage the artists and decide where they'll perform," she says. "They have the wherewithal to lose money until they put us out of business. And we're the economic drivers in many neighborhoods." On Tuesday, January 8, Second Ward alderman Brian Hopkins, citing the will of his constituents, rejected Sterling Bay's proposal for a 20,000-person soccer stadium (run by Live Nation between games) and an entertainment district with three to five venues (all controlled by Live Nation). The developer's revised plan eliminates the stadium and calls for the venues to be scattered, not concentrated in a single district—but despite Hopkins's insistence that Live Nation won't own them, the members of CIVL suspect that the company will end up operating them anyway. Sterling Bay spokesperson Sarah Hamilton wouldn't say that the Live Nation partnership is off the table, but the developer has clearly learned not to talk about it as an exclusive deal: "Any operator has the opportunity to participate," she said. "If they want to open a venue or run a club, they should contact Sterling Bay." Hideout co-owner Katie Tuten addresses the crowd at the November 29 CIVL meeting. No matter what the city and Sterling Bay ultimately decide to do, Live Nation will remain a threat to Chicago's independent music economy—no one expects the company to cease angling for advantage here. This is a big reason critics of Lincoln Yards have targeted Emanuel. Despite his publicly professed love for Wilco and his habit of stopping by the WXRT studios to promote his agenda, the mayor has a thin record when it comes to creating policies that strengthen the local music scene. Instead of taking a cue from cities such as London, Toronto, Seattle, and Austin, which have created government commissions or partnered with nonprofits to bake in policies that protect and promote their homegrown independent venues, he appears singularly focused on providing a seat at the table to just one player—Live Nation, which already dominates several major silos in the live entertainment industry. The company owns or operates 222 venues internationally, and presents concerts at many more; it represents more than 500 artists via its management division; and in 2010 it merged with the similarly powerful Ticketmaster. Since 2014 Live Nation has also owned a controlling interest in C3 Presents, the producer of Lollapalooza. Ari Emanuel, the mayor's brother, is a Live Nation board member and a significant shareholder in the company. Chicago is unusual among cities its size because its music scene remains largely democratized—within the city limits, Live Nation owns only the House of Blues and the Huntington Bank Pavilion at Northerly Island. All the other venues where it presents shows—the Aragon, Subterranean, Kingston Mines, Allstate Arena—are owned by other entities that do business with Live Nation at their discretion. 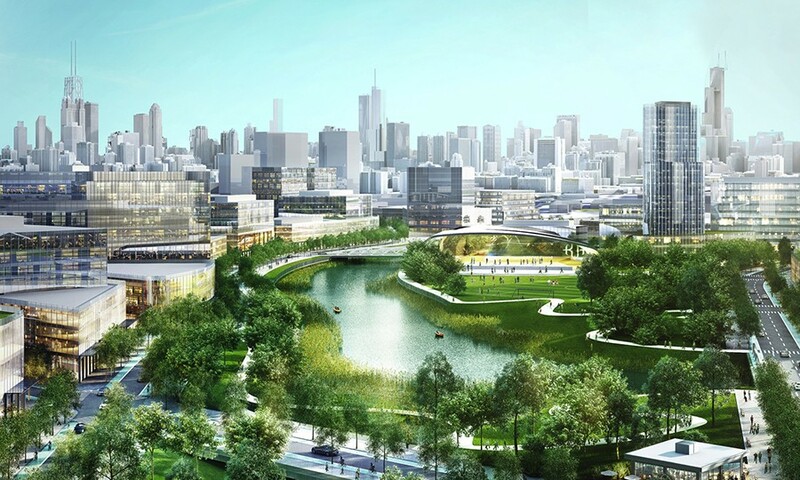 That balance will change, critics fear, if the city green-lights Lincoln Yards. But Emanuel hasn't relented. The Chicago Plan Commission is scheduled to vote on the revised Lincoln Yards project on Thursday, January 24—even though no public meetings have been scheduled since Hopkins rejected the stadium and entertainment district and Sterling Bay agreed to update its master plan. The community hasn't been able to see the current proposal, and in fact there's been no formal opportunity for citizen input since late November. CIVL is one of a chorus of voices demanding that the project be delayed until a new administration takes over. Described as a city within the city, Lincoln Yards seems destined to be the mayor's legacy project, even as the question of how or whether it serves the public good remains unanswered. Emanuel and Sterling Bay have been vague on several points: how Lincoln Yards will create economic growth, what kind of zoning oversight the city will have during its decade-long construction, even how many venues it will contain and which of those Live Nation will control. These failures of transparency may give Chicagoans flashbacks to December 2008, when Mayor Richard M. Daley privatized the city's parking meter system for $1.16 billion in a 75-year deal with Morgan Stanley. The move was almost universally unpopular, and matters only got worse when the public later learned that the meters had likely been undervalued by nearly $4 billion. The members of CIVL are proposing measures they hope will encourage the mayor's office to see the economic value of independent venues to Chicago. They want a voice in city affairs via what they're calling an "economic advisory committee" representing the creative sector. They want a music census, funded by the city, to quantify the value of the existing ecosystem and aid in the creation of a digital map of every local performance venue. They want to designate Chicago a "Music City," with a special office to serve as their advocate within the Department of Cultural Affairs and Special Events (DCASE). And among other things, they want to hire a "Night Mayor" to focus on issues related to the city's creative nightlife. "Give us a seat at the table. 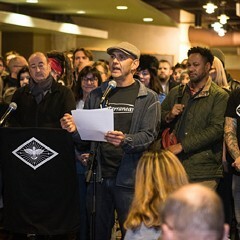 CIVL members are business people, and we have expertise that is of critical value to the development of this city," says CIVL cochair Robert Gomez, owner of Subterranean and the Beat Kitchen. 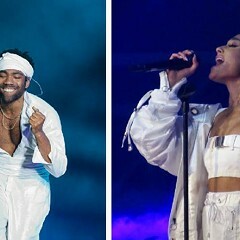 The data shows that the venues deserve the attention—a 2006 report commissioned by the nonprofit Chicago Music Commission from the Cultural Policy Center at the University of Chicago found that in 2004 the city hosted 1,093 shows that generated $80 million in revenue. (The fact that this is the most recent available citywide data is a big part of why CIVL wants a music census.) Even back then, Chicago had the third-largest music workforce in the country, after New York and Los Angeles—its 53,104 employees had a combined payroll of more than $1 billion (though this includes the staff of recording studios, labels, radio stations, and other businesses not directly involved in presenting concerts). And the report further claimed that the benefits of these jobs went beyond the borders of the business: "Statistical analysis of counties nationwide strongly suggests that music employment levels are positively associated with county-level job growth." Rapid gentrification remains a major danger to any local music economy, and other cities in the U.S. and abroad have dealt with it in ways that Chicago would do well to study. According to the Music Venue Trust, a UK charity launched in 2014, between 2007 and 2015 a quarter of London's music venues shut down, and in the UK at large that number reached 36 percent. Rising real estate values in the city attracted newcomers whose complaints about noise and crowds could doom long-established clubs—that is, if skyrocketing rents didn't finish them off first. Making things worse, the venues had no representation at City Hall, and their owners generally lacked the time and knowledge to navigate planning regulations and other red tape. The Music Venue Trust has played an important role in giving venues a coherent voice. Now representing 500 venues across the UK, it not only intercedes with government officials to advocate for venues but also serves as an information resource for both sides. Because the organization acts independently of the venues themselves, it has an air of neutrality, says CEO and founder Mark Davyd. Its message is cultural as well as economic: Davyd frequently makes the point that current British pop stars such as Ed Sheeran learned their craft in small rooms. By the MVT's reckoning, Sheeran played 366 venues in the UK with a capacity of fewer than 300 before he became a household name. Of those venues, only 216 remain open today. "How many festival and stadium headliners will we produce when all the clubs are gone?" Davyd asks. The organization won one of its greatest victories to date in 2018, when it convinced London mayor Sadiq Khan to adopt the "agent of change" principle, which requires developers to assume responsibility for any negative impacts their projects create. For music venues, this means developers must properly soundproof housing built in entertainment districts—that is, it's not the job of the decades-old music club next door to forestall complaints from residents of new condos when it continues to host bands past midnight. Versions of the agent of change principle have also become law in smaller cities such as San Francisco, Toronto, and Melbourne and Brisbane in Australia. The Music Venue Trust made it happen in London with nearly three years of work, including lobbying, a petition signed by 30,000 people, and support from homegrown stars such as Frank Turner and Paul McCartney. "This does work," Davyd says. "When you have an effective city government that wants to think about culture and the pipeline of talent, it is very receptive to the importance of small venues where people can start their careers." One reason cities don't often think of music venues as economically valuable is that they're micro businesses—any one venue is too small to stand out from the pack, and they rarely work together as a bloc to force the city to think of their industry as a sector unto itself. "The majority of clubs operate under the radar," says Amy Terrill, executive vice president of Music Canada, a nonprofit trade association formed in 1964. "That's one of the first challenges that we have as an industry, and that's why educating people is so important—because it's just not obvious to someone on the outside." Music Canada has already convinced Toronto to designate itself a "Music City," a way of declaring (especially to outside stakeholders) that the local music industry can deliver employment and other economic benefits as well as cultural and social ones. Once a city allies with its music industry, Terrill says, it can create a range of club-friendly policies around parking and transportation, noise bylaws, venue and liquor licensing, and land use. One way to persuade a city that it must protect its music economy is to explain how vulnerable it is, says Davyd. "The role of an independent, small, grassroots music venue is to do something that is economically stupid: to put on music that nobody likes yet," he explains. "In terms of business, it's a weird thing to do, and because it's an economically fragile model, any tiny external factor can actually shut a venue." The fate of beloved Lincoln Park rock club Lounge Ax is an instructive example. It shut its doors for good in early 2000, having suffered a drawn-out death by a thousand cuts. In 1995 a new condominium owner in a high-rise behind the club started making noise complaints, which led to a charge from the city that, due to recent regulatory changes, Lounge Ax no longer had the proper license. The club was ordered to close, but it stayed open and fought, racking up thousands of dollars in citations and legal bills. Gentrification ultimately ended Lounge Ax's 12-year run, but the city's rigid approach to the noise complaints and its muddled licensing rules made a difficult situation impossible. "The liquor commissioner at the time didn't have a clue as to who we were or what we were doing, or why we possibly could be important to him. We were just a bar that was causing some problems because some person who didn't go to the bar was calling him," Lounge Ax co-owner Julia Adams says. "There was no task force or anyone who understood anything about music at the city." Having an advocate at City Hall who understands the music business is critical, says Terrill. "Politicians want to understand what you can do to provide good jobs and tax income, so you have to tell the story in those terms," she says. "We were very fortunate, because we had a councillor who really cared about our issues and who became our internal champion, and we had two successive mayors who were really supportive. Once we framed it into the kind of language that would appeal to them, they got on board." CIVL cochair Robert Gomez (at the microphone) owns Subterranean and the Beat Kitchen. Chicago often seems to lack the political will to look out for its music scene, but the Emanuel administration has taken one important step to help small venues: it cut their taxes last year. The mayor's 2018 budget eliminated the amusement tax for live cultural events in venues with capacities of fewer than 1,500—superseding a long-standing regulation that imposed a 5 percent tax on every ticket sold by venues with capacities of more than 750. The old policy put venues as small as Metro on equal footing with the United Center; under the new system, all venues bigger than 1,500 pay a 9 percent tax. At the time, Emanuel described live music venues as "part of the fabric of our communities, and a part of what makes Chicago so unique" in a prepared statement. "I don't think we should stifle the culture of our neighborhoods by taxing Thalia Hall in Pilsen or the Metro in Lakeview at the same rate we're taxing a 40,000-seat concert venue," he said. Last year the city's Community Development Commission also approved up to $13 million in TIF funding as part of a $75 million rehabilitation of the 94-year-old Uptown Theatre, owned by long-standing local independent promoter Jam Productions. 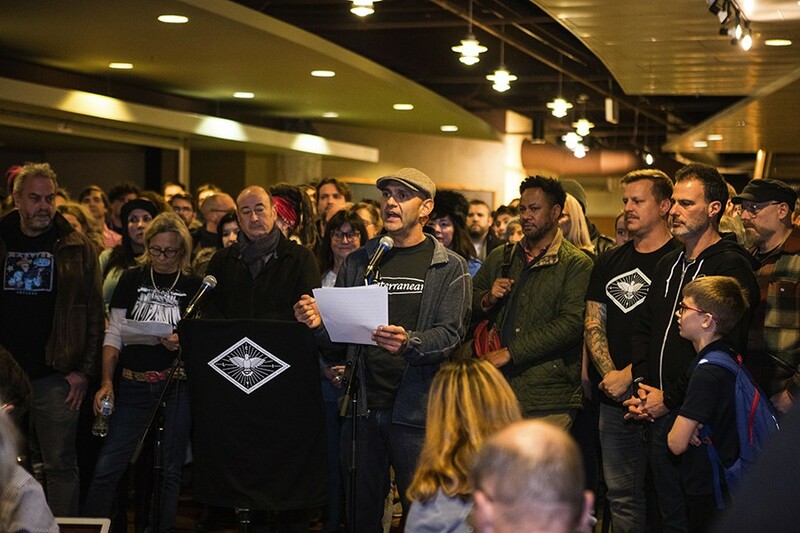 The greatest music advocate in Chicago government remains DCASE commissioner Mark Kelly, who has long recognized that the city needs to improve outreach to the music community. Since appointed in 2016, he's helped create programs that highlight the diversity and history of the city's music communities, among them the children's concert series Juicebox and the Cultural Center exhibit "Bronzeville Echoes," which honors that neighborhood's history as an incubator for ragtime, jazz, and blues. Kelly believes that CIVL represents an important step in organizing Chicago's clubs, and he likens its potential role to that of See Chicago Dance, a nonprofit coalition of dance organizations. Music venues haven't been a sector, he says. "They desperately need to be one. As they become more of a sector, we'll have someone to work with." DCASE sees Chicago music as much bigger than the club scene, Kelly says, and in practice this means the department tends to focus on the nonprofit world—it awards hundreds of thousands of dollars annually to organizations such as the Association for the Advancement of Creative Musicians (AACM), Eighth Blackbird, the Hyde Park Jazz Festival, and the Jazz Institute of Chicago. DCASE also makes grants to projects by individual artists and presents free music throughout the city, including major downtown festivals devoted to blues, jazz, house, international music, and more. 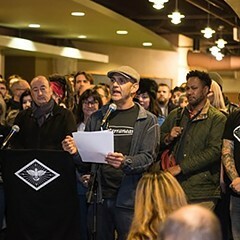 Kelly would like to see his department promote Chicago music with something analogous to 2019's inaugural "Year of Chicago Theatre" campaign, a citywide push that hopes to unite the local theater community and reach an international audience through promotions, grants, events, displays, and more. "We're going to learn about what we did for the Year of Chicago Theatre and then move this idea forward," he says. 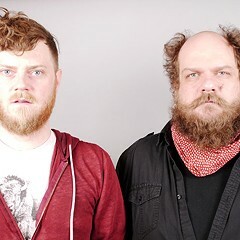 "I can't imagine in our future we won't do a Year of Chicago Music. It's not just supporting the clubs, but it's about getting new branding for the whole scene." But Kelly stops short of endorsing CIVL proposals such as the economic advisory committee and the Night Mayor position—he's not convinced that either would change the economic forces that affect music venues. The role of DCASE, he explains, is to assist CIVL in forming partnerships with other local government agencies, such as city tourism office Choose Chicago. "What I see us doing is helping push out a compelling message to the world that you need to come here because the music scene is incredible. At the same time, we're not just about supporting the local clubs, because music is way bigger than the clubs," he says. "We're thinking far bigger and more ambitious." 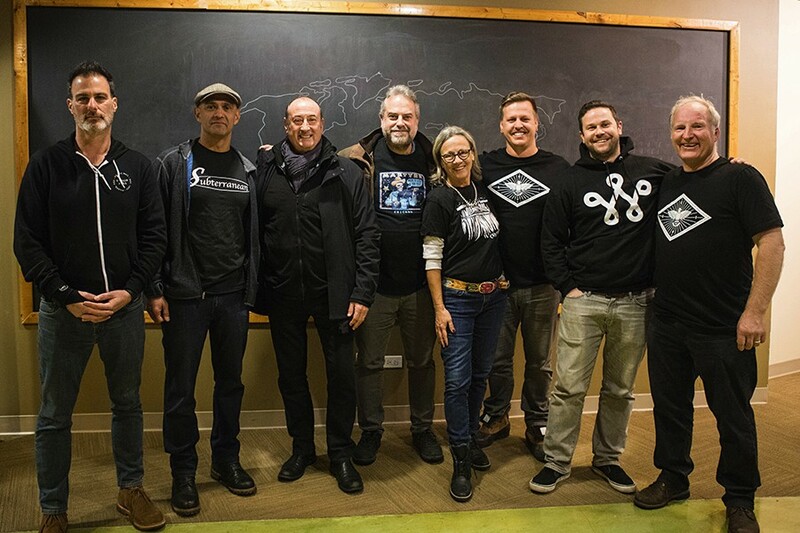 DCASE may worry about the optics of supporting the for-profit music sector as a cultural resource, but other cities are already getting comfortable with the idea. Rick Carney, vice chairman of the Music Commission in Austin, Texas, whose scene is as diverse as Chicago's, doesn't see protecting for-profit clubs as "giving them special treatment." His group consists of 11 volunteers appointed by the city to advise it on venue-friendly policies. "I see us as advocates," Carney says. "The hospitality industry and the hotel industry have advocates as well. We are working on behalf of the culture of the city, more than any one business. We see music as much of a natural resource as Barton Springs." Over the past couple years, Austin's Music Commission has worked with the city and with neighborhood associations to adjust noise curfews in the busy Red River Cultural District, which has allowed its open-air venues to extend their hours on Thursdays and weekends. The commission says overall revenues have increased 15 percent since the change. "Anything we can do to put more money into the pockets of musicians and clubs, we're going to try to do that," Carney says. The commission is also working to get an agent of change bill passed in Austin. Like Chicago, Austin has an affordability crisis, though in its case it's due to a tech boom driving up property values. Carney believes that cities need to go beyond promoting their culture and take decisive action to protect it. "We want to make sure we preserve what we have. So much of Austin's success is built on this culture. The high-tech companies came here because they liked the vibe of the city and because it's a place people want to live," he says. "If we can't take care of what we have, we can't guarantee we'll have any of those things." Lincoln Yards has swiftly become an issue in the race to replace Emanuel in April, though the question of subsidizing a powerful private developer has attracted more attention than the question of protecting Chicago's homegrown music scene. The majority of candidates agree that Emanuel should be out of office before the city decides whether Sterling Bay receives TIF money. But Lori Lightfoot, a former federal prosecutor and police board president, goes further, saying that Chicago needs to treat its music community "with more care than we do now." Lightfoot sees this as a matter of long-term thinking and basic equity. "We have to be fair and protective of these kinds of music venues before we support the next shiny object that puts them and their employees at risk," she says. "It just can't be the big boys who get the benefits and resources. We ought to be treating the music community right at all levels." 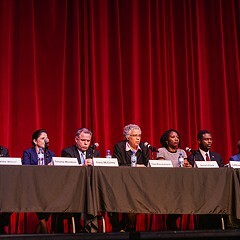 Other candidates weren't as specific, and only some of them mentioned the music community explicitly. "As someone who is a fan of the Hideout, I'd hate to see anything that would hurt them," says Susana Mendoza, the state comptroller, though she admits she needs to learn more about the situation. 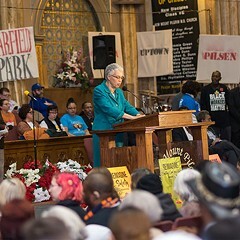 Cook County Board president Toni Preckwinkle focuses on the TIF question, saying that it "doesn't make sense" for public money to be used "for megaprojects in parts of the city that might be developed anyway without them." Community organizer Amara Enyia likewise characterizes Lincoln Yards as an example of "disparity" playing out in the city. "The different club owners don't have as much clout as the large-scale developers. Yet [the club owners] are an incredibly diverse group and provide a service to residents in the city of Chicago, and they have a right to advocate what their needs are. But if they don't have the money that can get you the political clout, it's not easy. I would definitely slow that project down." Cities that have effectively partnered with their music scenes tend to treat those scenes' commercial, fine arts, and nonprofit sectors as part of the same entity, but Chicago has historically seen commercial operations as bars first and creative incubators second. Until that changes, the venues will continue to face an uphill battle to get the change they want from City Hall. Davyd says that smart development nurtures creative hubs instead of crowding them out, with the understanding that they help a city's long game when it comes to quality of life—a company like Live Nation knows what to do with established artists, but it can't maintain the grassroots networks that foster that talent. Not even an apex predator can survive without an ecosystem in place.